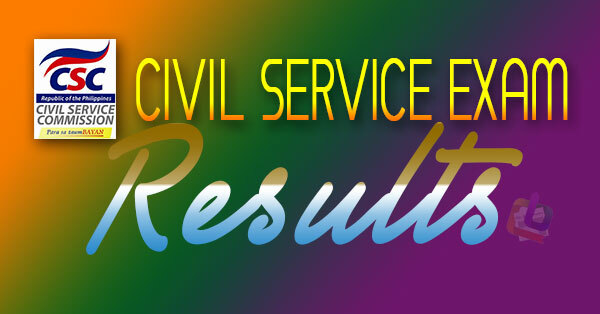 The results of the Civil Service Exam held on December 6, 2015 have been released. View the complete CS passers list by region on this page. The list includes successful examinees from Region 1, Region 2, Region 3, Region 4, Region 5, National Capital Region (NCR), Cordillera Administrative Region (CAR), and the Autonomous Region in Muslim Mindanao (ARMM). Those in regions 1, 2, CAR, NCR (Metro Manila), and Tawi-Tawi were supposed to take the paper and pencil test on October 17, but the exam was cancelled by the Civil Service Commission (CSC) due to Typhoon Lando.